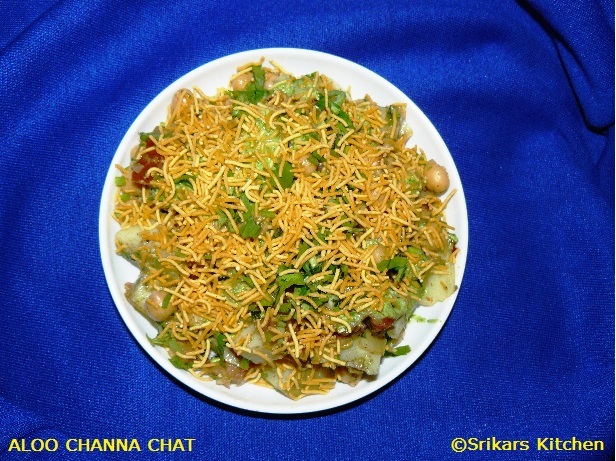 Aloo channa chat is healthy chat item & tasty as well. It is one of the street food originated in the streets of Mumbai. Take a bowl add cooked chickpeas & potatoes. Along with add tamarind chutney & mint chutney. Add chopped onions, tomatoes, coriander leaves . Finish with sev and papdi if you have.Mix well and serve.